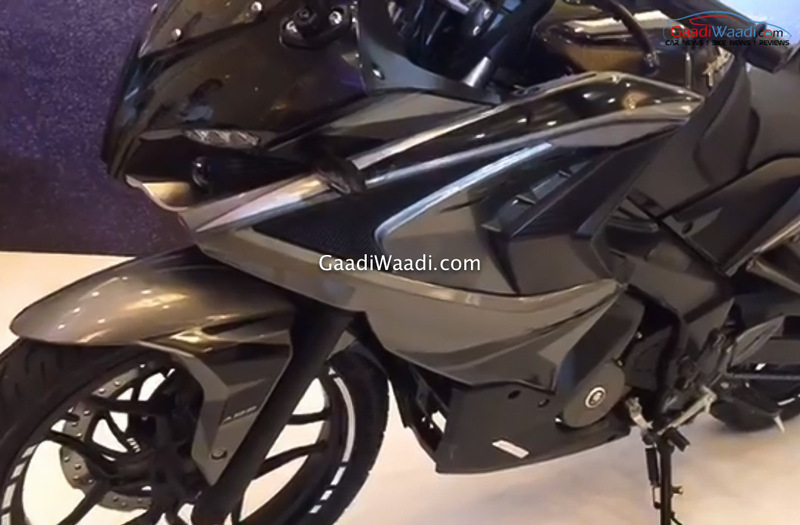 Bajaj Auto has officially launched the updated Pulsar RS200 in the domestic market after numerous spy shots emerging ahead of its entry over the last few weeks. 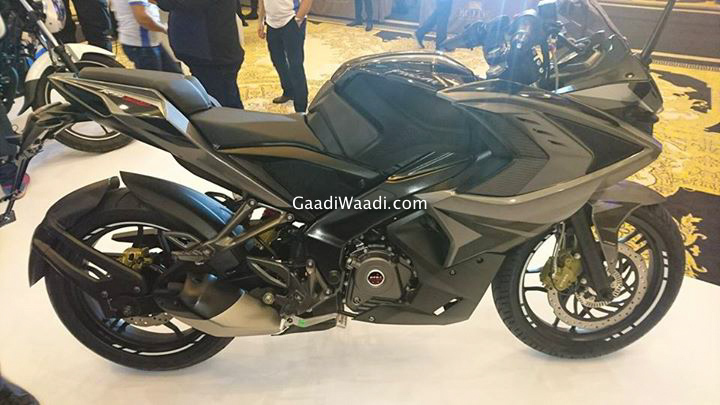 Thus far, the fully-faired motorcycle topping the Pulsar range was available in yellow, Red and Demon Black paint schemes only. We exclusively revealed the images of RS200 in a stunning new colour combination recently, and sticking by it, as part of the MY2017 upgrade Racing Blue (White/Blue) and Graphite Black (Grey/Black) are the new additional paint jobs. 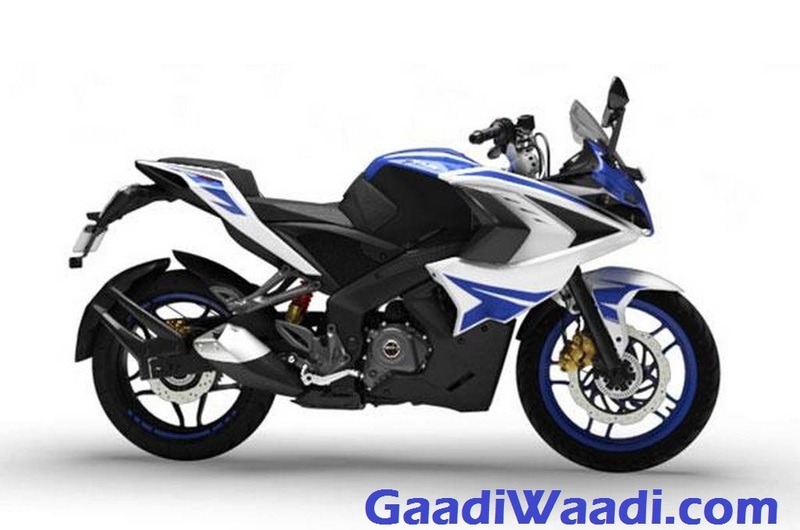 The Pulsar RS200 is currently the top-of-the-range model in the highly attractive Pulsar lineup. It is quite popular among the enthusiasts who want an entry-level performance sporty bike for under Rs. 1.5 lakh. Realising the importance of pricing and not to slot it very close to the Dominar 400, the monetary hike related to the new updates has been kept at bare minimum. Prices start at Rs 1,21,881 (ex-showroom, New Delhi) for the non-ABS variant and the ABS variant is priced at Rs 1,33,833 (ex-showroom, New Delhi). All new motorcycles in India are mandated to have AHO (Auto Headlamp On) feature from April 2017 to improve visibility and avoid accidents. In the 2017 Pulsar RS200, its the only substantial equipment add-on. The basic design of the 2017 Bajaj Pulsar RS200 is carried forward with the fully faired sporty stance while the rim decals add an extra bit of flamboyance. Power comes from the same 199.5 cc single-cylinder, four-valve, liquid-cooled, fuel-injected engine that churns out 24.50 bhp of peak power at 9,750 rpm and 18.60 Nm of peak torque at 8,000 rpm. It is mated to a six-speed constant mesh gearbox that has always been tuned for top-end performance. The biggest mechanical modification is the engine being worked up to comply with BSIV regulations. Like its performance sibling KTM RC200, whose underbelly exhaust setup stays put despite calibrations to meet BSIV, the RS200 continues with its side-mounted system. The fully-faired Pulsar could have endured a possible increase in kerb weight by 5 to 6 kilos as well resultantly. The claimed top speed of 141 kmph and fuel economy just over 40 kmpl stay identical. 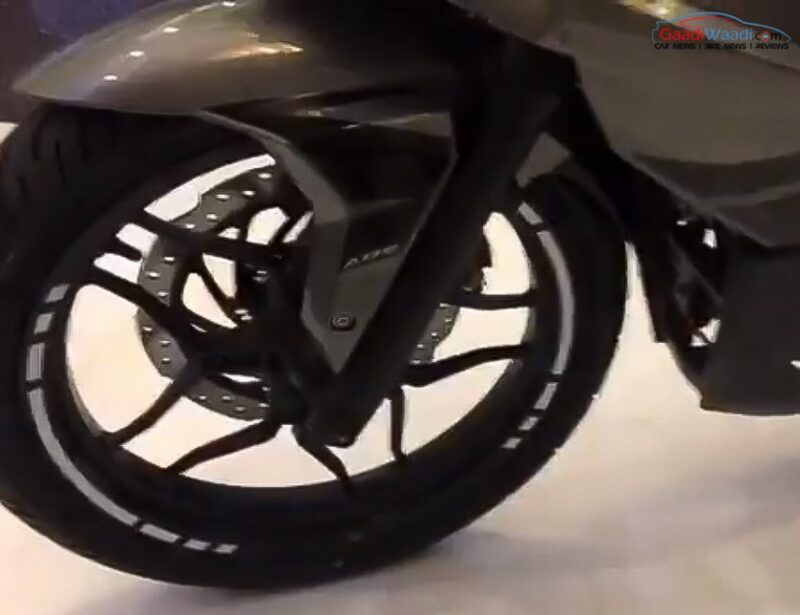 Stopping power for the Bajaj Pulsar RS200 is provided by the same 300 mm front disc and a 230 mm rear disc brake. We were expecting to see a dual-channel ABS variant, just like the Dominar 400, introduced in the 2017 Pulsar RS200 in place of the current single-channel ABS system. But given the aggressive pricing of the power cruiser, Bajaj would have opted not to increase the asking rate of the RS further. A 320 mm front disc could have vastly improved its braking performance as well but that was an ambitious expectation. For suspension duty, it gets telescopic front suspension with ant-friction bush and Nitrox monoshock absorber at the rear. It runs on 17-inch alloy wheels wrapped in tubeless tyres as before and features equipment like crystal LED tail lamp, round-shaped twin projector headlamps, LED eyebrows, clip-on handlebars and so on.